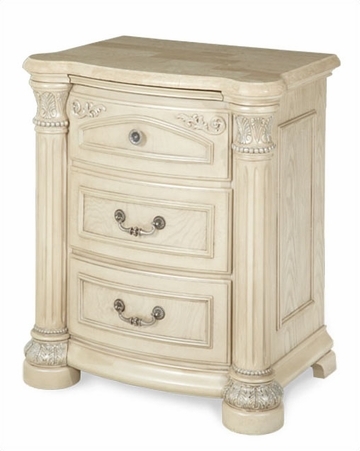 AICO Night Stand Monte Carlo II in Silver Pearl AI-N53040-03. 1 x Night Stand AI-N53040-03. Night Stand - 28"W x 19"D x 32"H.